Starting pitching is changing. Openers, quick hooks, and record strikeout numbers are changing the landscape of the position more than any other. 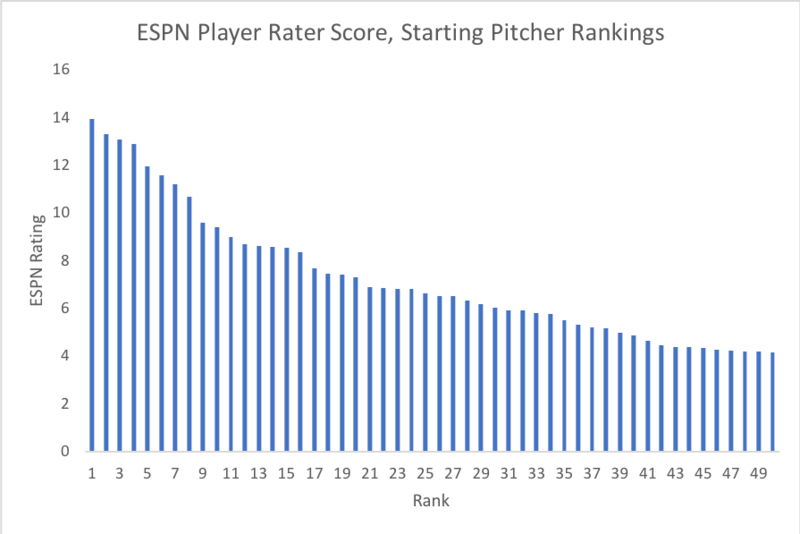 While starting pitching has never been less important in real baseball, starting pitching is still just as important as ever in fantasy scoring, at least in categories leagues. Here are the three lessons that I learned this season in dynasty play about starting pitching. There are two very clear tiers, and they are heads and shoulders above the field. Scherzer, Verlander, Snell, DeGrom, Nola and Kluber all scored above 11 on the player rater. Cole, Bauer, Severino, Carassco, Greinke, Mikolas, Corbin and Foltynewicz all scored above 8. After that, there is a sharp decline, with 50th best player barely scratching a 4. This drop off is huge, and imparts a significant advantage to their owners. In a 14-team league, controlling two of the top 14 is a huge advantage. While pitching is risky in a dynasty context, the categories still count. My lesson? I’m getting two top-tier starting pitchers this year, even if it means giving up a high draft pick or two. I want one of the +11 guys and one of the +8 guys, other than Foltynewicz. I’ve stared at that list for a little bit of time. I don’t see any clear correlation between where we drafted them and quality of 2018 performance. My own picks, Strasburg, Castillo, and Nola, contained two disasters and one triumph. To some degree, this is an artifact of how difficult starting pitching is to predict. However, I think what we’re really seeing is a bunch of dynasty baseball bloggers trying to find the breakout, diamond-in-the-rough picks. We underrated older guys like Max Scherzer, Jacob DeGrom and Justin Verlander at the expense of more exciting picks like Lance McCullers, Robbie Ray, Luis Castiullo and Noah Syndergaard. My lesson? Pick the old, boring guy with a tremendous track record, at least early in the draft. Young starting pitching is tantalizing (I’m celebrating Aaron Nola in a few leagues right now), but also fleeting (My Ray/Castillo-led pitching staff is killing one team right now). Relief pitching reigns. The average MLB starting pitcher had a 4.19 ERA in 2018. While the average reliever wasn’t far behind with a 4.09 ERA, there are more relief pitchers than ever who utterly destroy hitters. 68 relief pitchers posted K/9s over 10.00 (>40 IP). 54 posted ERAs under 3.00. More than ever, relief pitchers contribute to your non-save/hold stats, especially given how starting pitchers are throwing fewer and fewer innings. Given that relief pitchers are contributing more, we can change how we value starting pitchers a bit. Specifically, it increases the value of lower-innings, high-performance starting pitchers. 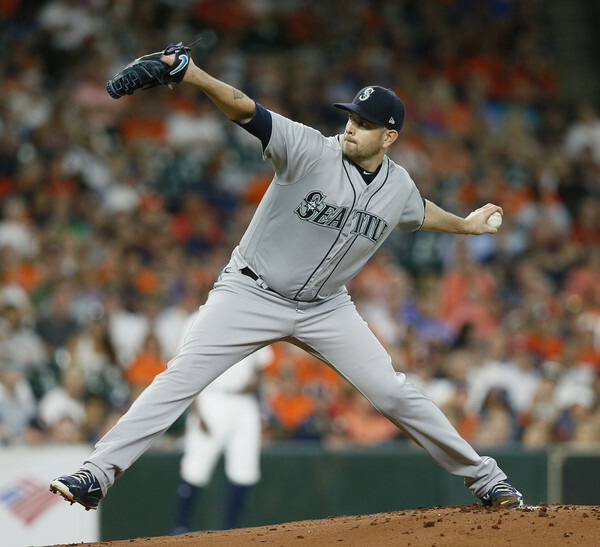 Players like Charlie Morton, Rich Hill, Clayton Kershaw, James Paxton and Noah Syndergaard are more valuable than they would have been a few years ago. In any moderately deep dynasty league, chances are that most owners will have 3-4 pitchers in their rotation that are not expected to throw 180+ innings. Thus, the lower-inning players shouldn’t receive the same discount you would have a few years ago, where they would have handicapped your counting stats. My lesson? Get James Paxton on my roster.